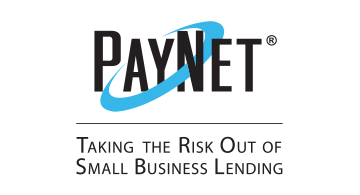 PayNet, Inc. is the leading provider of credit ratings on small businesses enabling lenders to achieve optimal risk management, growth and operational efficiencies. PayNet maintains the largest proprietary database of small business loans, leases, and lines of credit encompassing over 23 Million contracts worth more than $1.4 Trillion. Using state-of-the-art analytics, PayNet converts raw data into real-time market intelligence and predictive information that subscribing lenders use to make informed small business financial decisions and improve their business strategy. PayNet's small business capabilities range from historic credit-reporting and automated credit-scoring to detailed strategic business reviews that include portfolio risk measurement, default forecasting, peer benchmarking and critical industry trend analysis.